Immigration issues are impacting communities across the country. How can libraries better serve the immigrant population in our state? A lineup of experts will give you an overview of concerns and how your library can better serve these patrons and students. Libraries are very involved in their communities and are looking for ways to better assist immigrants. That might be reading, English, citizenship, or simply acclimating. Information provided will help librarians better assist this population. Immigration 101: Moving beyond the headlines to understand the nuts and bolts of our immigration system. Immigration is everywhere in the news today and there are a lot of misunderstandings about immigrants, and our immigration system. In this session, local attorney Hillary Scholten will break down the basics of our immigration system--who's in charge, who gets in and who doesn't; how it works and how it doesn't. The need for books in foreign languages in public library collections is rising on a constant basis. Starting any collection is a lot of work: Dan will to pass along tips that he has gained from his experience as an International Language Collection Librarian to help you start such a collection including reviews, vendors, programs and promotional ideas. Setting up citizenship corners is a helpful gateway for immigrants seeking citizenship. 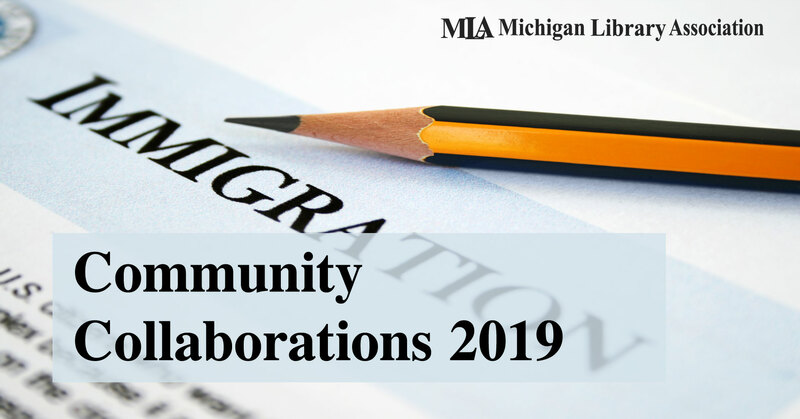 Learn how to connect library patrons who are immigrant lawful permanent residents ("LPRs") with resources to apply for naturalization on their own or refer those who need more help to local or regional nonprofit and other service providers. Find out what Kent District Library is doing to serve the immigrant population in their community. KDL’s most recent programs include a book mobile, pictured library cards, books for displaced children, and language accessibility initiatives. Parking is located at the corner of Ransom Ave NE and Library St NE. Attendees will receive a ticket upon entry. Parking will be validated onsite.